We went crate digging last weekend at one of the best second-hand record stores in the Sydney area called Revolve Records and Relics in the suburb of Erskineville. If ever you’re in Sydney it is well worth a visit as they have a constant turnover of new stuff. 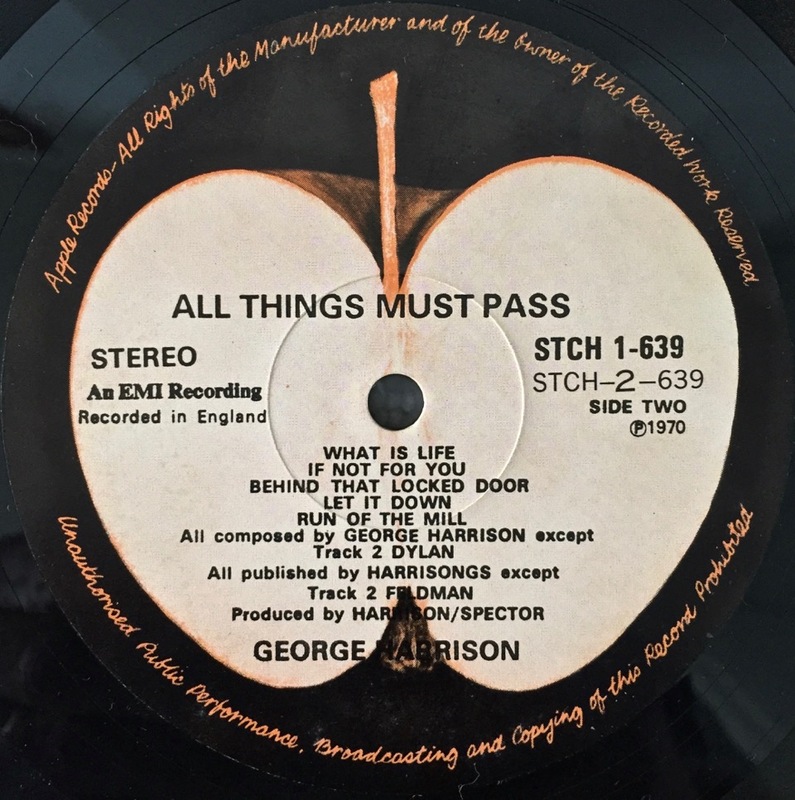 What we found there was an intriguing version of the 1970 George Harrison triple LP All Things Must Pass. We’ve detailed in the past a couple of the different pressings that are out there – including what we thought was the unique, Australian triple-gatefold version. Well, it appears that another market also had a triple-gatefold that is similar, but not identical. As you can see this one is a little beaten up and has a bit of ring-wear but overall it’s not in too bad a condition. (Those black spots at the top are small, dark paint droplets where it has accidentally been splashed by someone not being too careful….). Nowhere, either on the cover or on the labels, is a place of manufacture stated – making it something of a mystery. 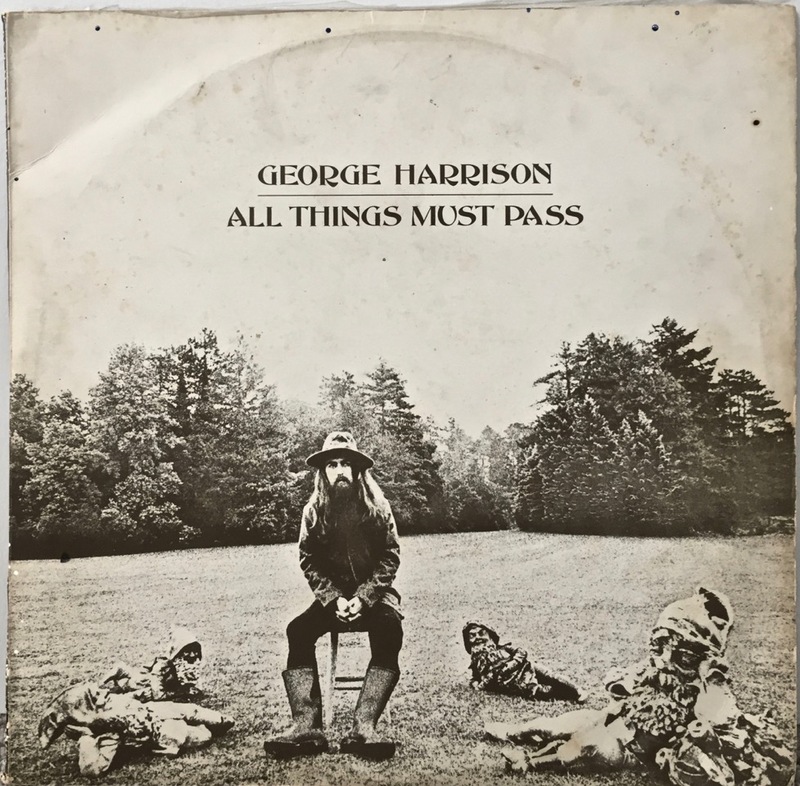 Also, if there was ever one of the large George Harrison posters which came with this release in other markets, it is long gone. None to be found. This exact same version is listed on the Discogs site, but no country of origin is definitively stated there. They just say: “Unknown country of manufacture, likely Singapore or Malaysia. 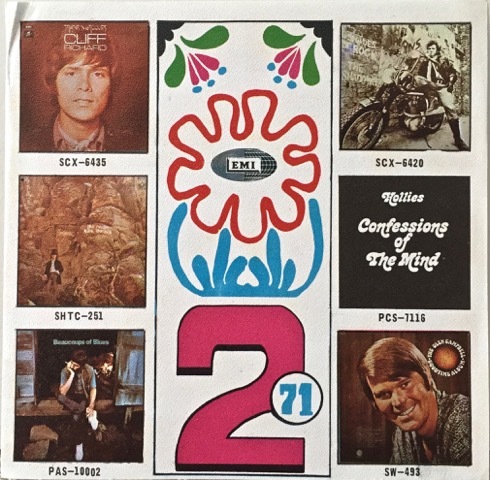 Released in a three-panel fold out gatefold cover very similar to the Australian original”. 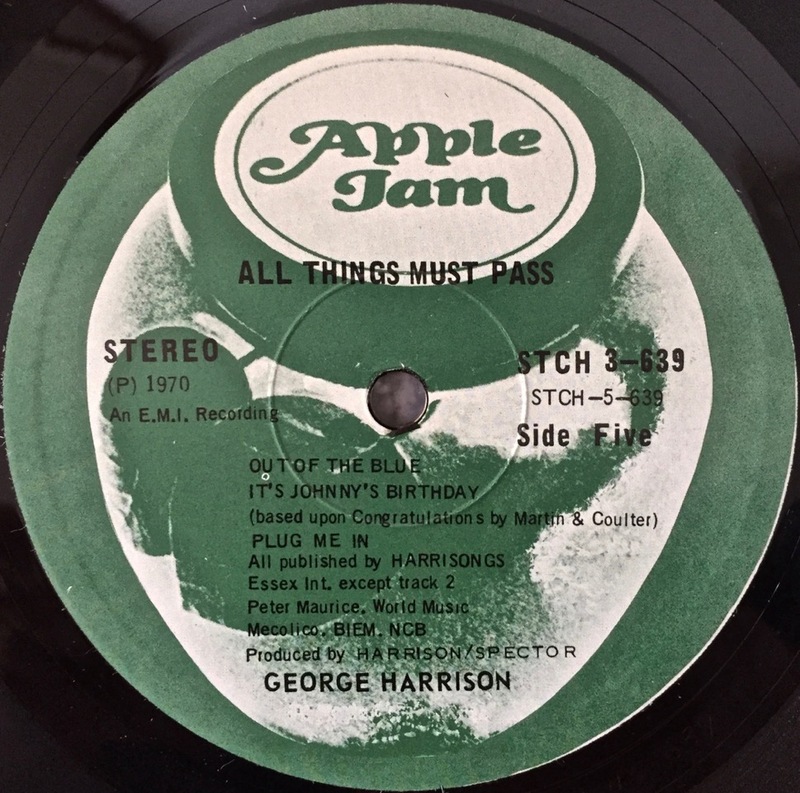 However, the fantastic apple records.nl has this version detailed fully, and suggests it could either be from Singapore or Hong Kong, depending on subtle differences in the label colours. 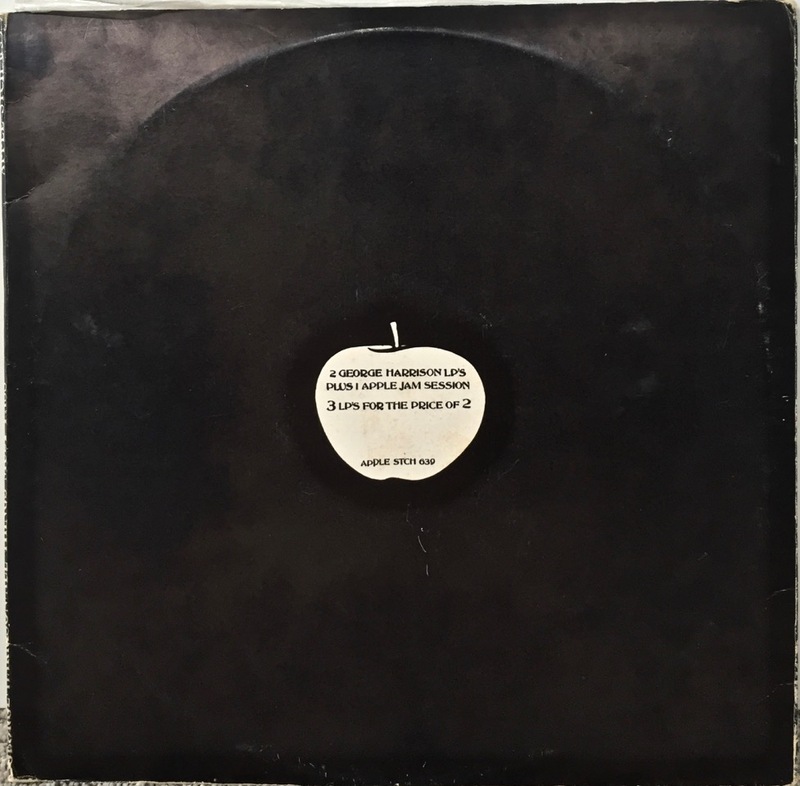 (This site is an absolute goldmine for anyone interested in the different Apple pressings from around the world). UPDATE: One other item of evidence has just emerged! 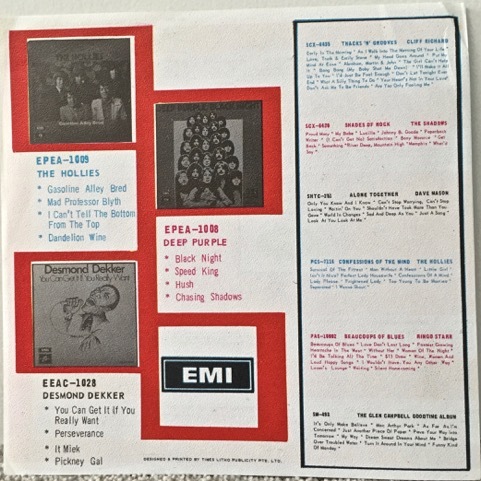 While fishing around in the sleeves just now out fell what looks like an official EMI flyer advertising other releases available from the company for the year 1971. We hadn’t noticed this before. It’s small (about 7″x7″), and has four pages. A tiny reference at the bottom says this flyer is “Designed & Printed by Times Litho Publicity Pte. Ltd.” A little Internet detective work reveals this to be a former Singapore-based company, active between the years 1965-1971. So, I guess that’s definite proof that this is in fact a genuine Singapore pressing! If anyone else has anything more definitive please do let us know. Would it have come with a poster, for example? Drop us a line using the Leave a Reply section below. 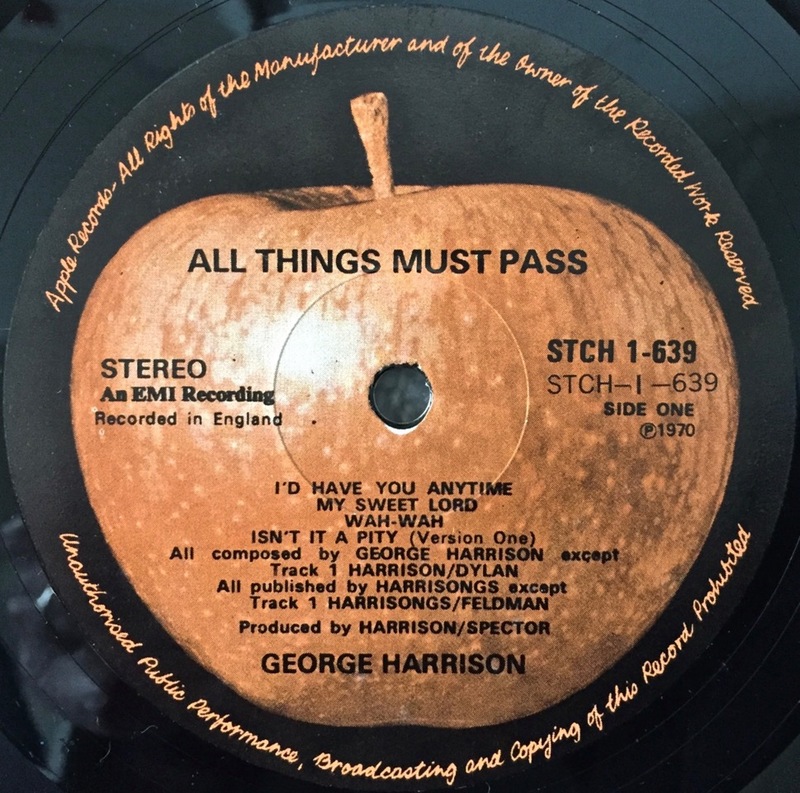 This entry was posted in Beatles, Beatles Collecting, Beatles Music, George Harrison and tagged All Things Must Pass, Beatles, Beatles Collecting, George Harrison, variations by beatlesblogger. Bookmark the permalink. I have one of these also. Probably purchased by dad in Hong Kong where we lived in 1970-72. However we also visited Singapore and Penang on a cruise from Homg Kong so it could have been bought then.